Places to go and what to look for when answering to your research questions. Documents and items found in your or a family member's home may contain information about your family's genealogy. This checklist is a good springboard for interviews, particularly with older members of your family. 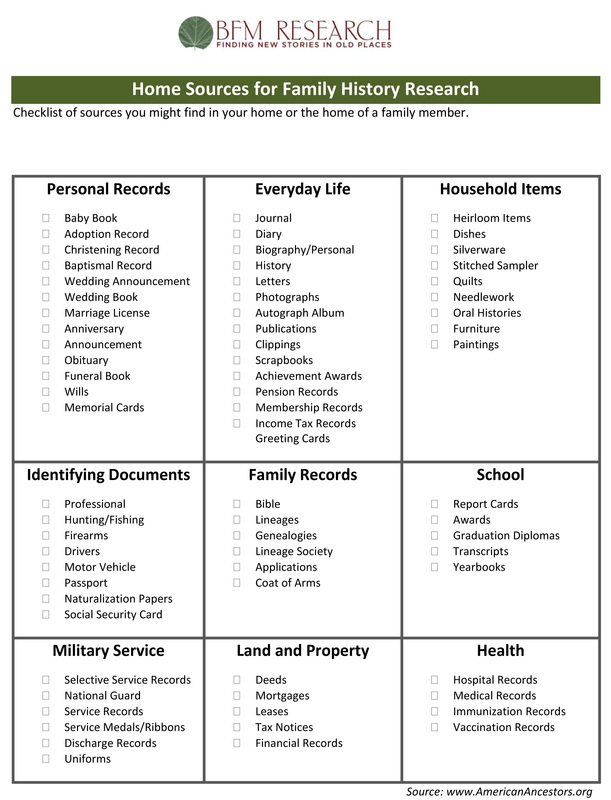 Use this form to brainstorm where to locate missing information for an ancestor.